This blog includes information for tech startups and entrepreneurs. Rounded up a few core features of recipe app, which will help to fuel the growth of your business. Let’s walk through with them. Mobile applications have already taken over every category in order to lessen the burden of users. 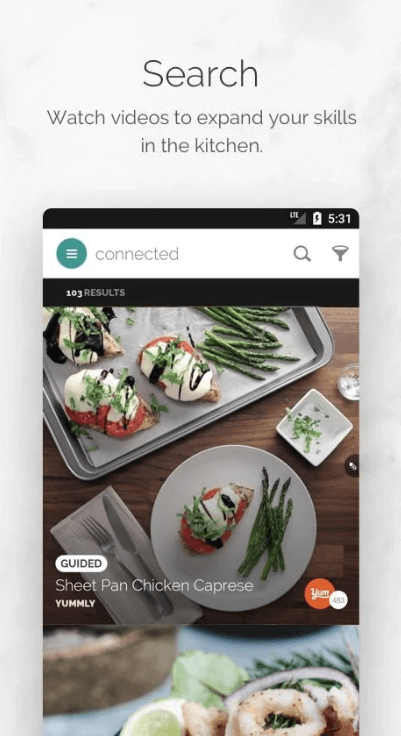 The recipe apps are the next when it comes to complete takeover as such apps offer step-by-step instructions to make food like professionals or food for a vegan diet. 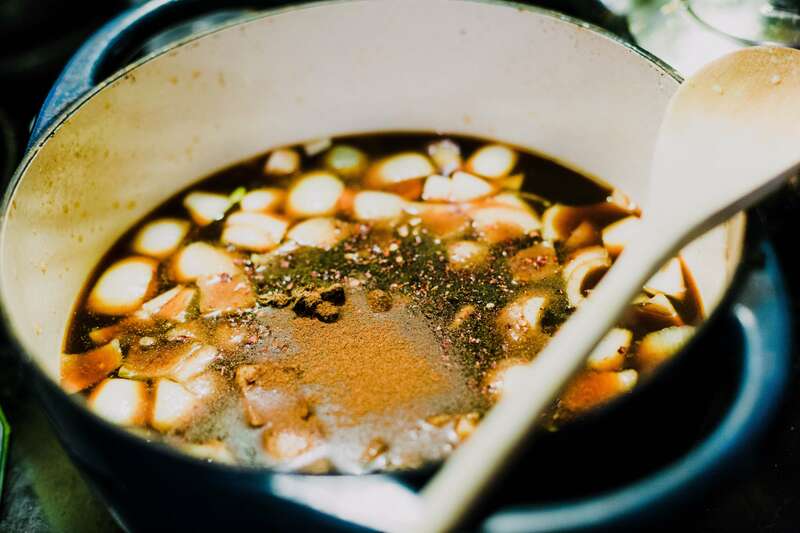 Recipe plays an important role to prepare luscious food. The recipe app offers step-by-step instructions on how to make baked, oven-fried food or curate a weekly plan for a vegan diet. Well, there are a few recipe apps, which help users by providing tips & guidance to shed pounds. Currently, Forks Over Knives app is ranked #2 in Food and Drink app category across Apple App Store. Basically, the makers of Forks Over Knives are critically-acclaimed film ‘Forks Over Knives’. In addition, this recipe finder app enables users to discover 400 hearty and decadent meals from over 20 leading chefs along with new recipes added on weekly basis. Forks Over Knives app is also featured as ‘Best New App’ by Apple. 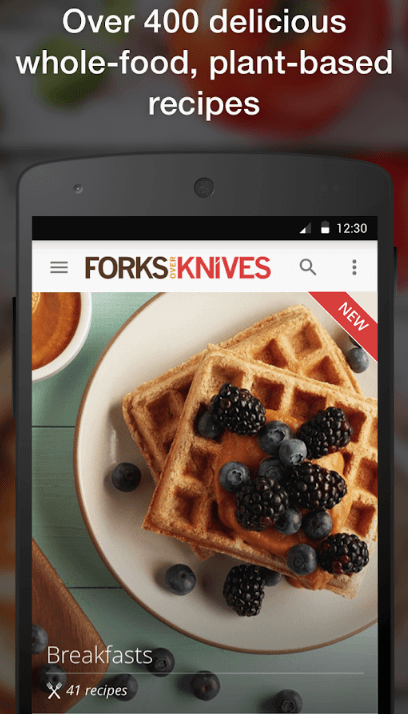 The Google Play rank of Forks Over Knives app is #2, as per the latest report from SimilarWeb. 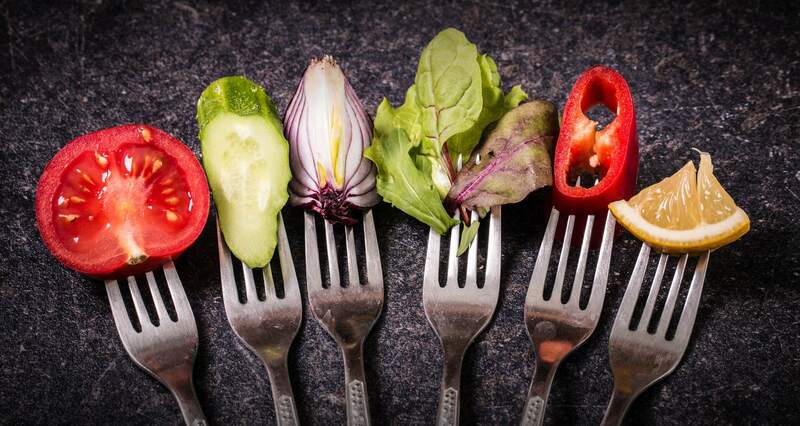 The thing, which makes Forks Over Knives different is that it is based on the plant-based lifestyle. And, it provides plant-based recipes for chronic diseases like heart disease and type 2 diabetes. Yummly is a smart cooking app, offering customized step-by-step guidance. It enables users to cook with helpful videos and recipe recommendations. It also helps users to improve life in the kitchen. Furthermore, it also enables users to create different diets using various recipes. This food recipe app is one of the most popular and consistent cooking apps. It allows users to sift through tons of recipes, save favorites, and check cooking videos. It also lets users know the preparation time, the main ingredients, and the type of meal, which the user wants to make. 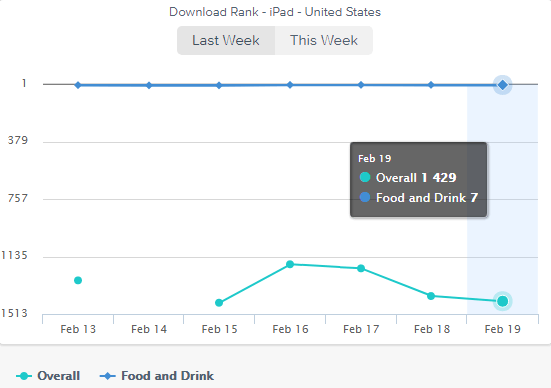 According to the latest report from SimilarWeb, “The usage and Google Play rank of Allrecipes are #23 and #47 respectively.” This is what you can check in this graph. One of the core features, which is important to consider is to allow your users to search recipes by the name of the recipe or keyword. All you just need to make it easier for your users to search for different recipes by keywords. Moreover, you can also allow them to search for recipes by leading chefs. As a tech startup, you just need to consider those features, which make findings easier and quick. You can also get access over 10,000 food recipes in order to provide choices to them. To create the best recipe app, you need to choose those features, which take their cooking to the next level. On account of this, auto-lock screen is the core feature, which you need to consider while developing mobile app. Auto-lock screen feature allows users to cook without any distraction. Additionally, users do not need to wake up their phones’ screens to check the step-by-step cooking instructions while cooking. Furthermore, you can also consider functionality, which helps users to access recipes both online and offline. If you are planning to create a recipe app like ChefTap, then you can consider this kind of feature, where your users can make most out of recipe management app. 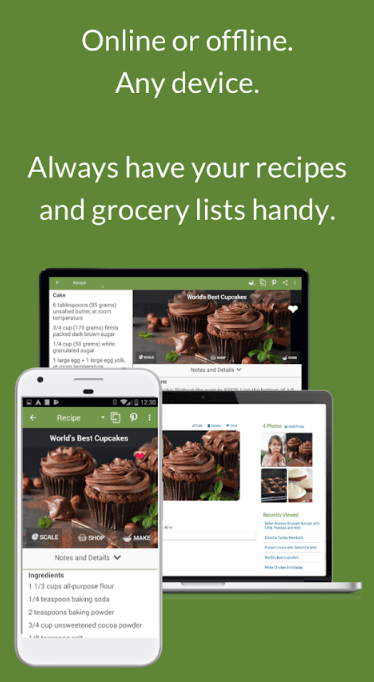 The best recipe finder app gives users a faster and simpler way of accessing recipes and cooking. 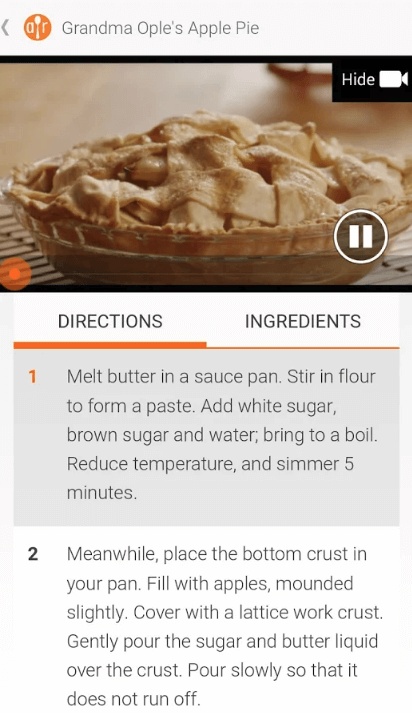 Allowing users to view step-by-step cooking videos with clear and simple descriptions of cooking. You can also consider multi-lingual support if you are targeting multi-region audiences. In short, you just need to consider all those features, which help users to improve the lives of their kitchens. In order to make things seamless for cooking lovers, consider such key features, which can fuel your business’s growth. 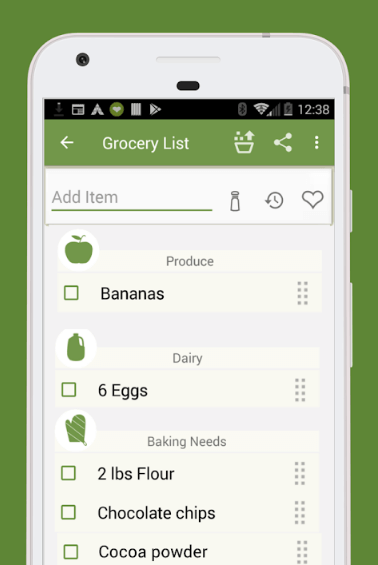 Grocery Shopping Lists: During cooking time, if the user gets to know about lacking any spice or other ingredients, then grocery shopping list feature can make his/her task easier. However, it must be handy and essential to consider while creating the best organizer app for recipes & cooking. Adding Notes While Cooking: Instead of having a pen and paper to write important notes while cooking, you can allow your users to add important notes while cooking. Social Media Integration: The next core feature is to allow your customers or users to share their cooking experience, photos, and videos to their friends on various social media platforms. Without signing up, they can share their exciting moments on diverse social media sites. However, they can also share their experiences on WhatsApp & Facebook Messenger. Being a food-tech startup, if you want to create recipe finder apps like Forks Over Knives, Yummly or Allrecipes Dinner Spinner, then you need to take care of such features, which will help you to retain your customers into your recipe finder application. If you are having an idea based on the recipe finder app, social cooking app, recipe management app or reference book cooking app, then you can cross-verify it with us. We’re a leading iOS/Android app development company and have already developed over 3500 mobile applications along with unique features and functionalities like social media integration, cross-platform platform ability, payment gateway integration, online support, and multi-lingual support. In case, if you still have any query or confusion like what is the cost of developing an app like Forks Over Knives, how to make money with an app or mobile app development timeline, then you can get in touch with us through our contact us form. One of our sales representatives will revert to you as soon as possible. The consultation is absolutely free of cost. This page was last edited on February 27th, 2019, at 9:27.